I can't remember when there's been so much speculation about what the future holds for working life. Or when those who imagine they know what the future holds have worked so hard to scare the dickens out of our kids. Getting on for 100 years ago – 1930, to be precise – the father of macro-economics, John Maynard Keynes, wrote an essay, Economic Possibilities for our Grandchildren, in which he calculated that if technological progress produced real economic growth per person averaging 2 per cent a year for 100 years, by then people would enjoy a comfortable standard of living while needing to work only 15 hours a week. He was writing during the Great Depression, so I doubt if many people believed him. He was right, however, to predict the Depression would end and growth would resume, powered by continuing advances in technology. By the 1960s and early '70s it was common for futurologists to predict that more and more labour-saving technology would allow big reductions in the standard 40-hour working week. What a laugh. Today's futurologists – amateur and professional – are predicting roughly the opposite to what Keynes and the '60s futurologists were. Thanks to continuing technological advance and the digital disruption it's producing, working life is getting ever tougher and less secure, we're told. As we learnt last week, all the extra jobs created in Australia over the year to February – a mere net 100,000 – were part-time, with full-time jobs actually falling by 21,000. So there's the proof we're going to the dogs – and it'll keep getting worse. All those part-time and casual jobs. The growing army of the "under-employed". We're moving to the "gig economy", where full-time, permanent jobs become the exception and most workers are employed on short-term contracts, many are self-employed like Uber drivers or need a "portfolio" of jobs on different days. Frightening, eh? I read someone confidently assuring school kids they'd have 10 different jobs – or was it 10 different occupations? – in their working lives. Then I read someone assuring kids they'd have 17 different jobs. Not 16, or 18, but 17. This growing job insecurity is why there's a renewed push among progressives – including Greens leader Richard Di Natale – for a "universal basic income". It'll be needed because so many people will be earning little or nothing from employment. Have you detected my scepticism? This is people during a period of weakness in the jobs market predicting – like Keynes's pessimists – it will stay weak forever – and get worse. That's part of it. The other part is the futurologists who, unlike us mere mortals, can see with perfect clarity what our technological future holds. If you think economists aren't good at forecasting, futurologists are much worse. Much of what they predict never comes to pass and most of what they correctly predict takes much longer than they expected. Then there's the things they failed to predict. The only safe prediction is that the future will be different to the present. Any more specific prediction is mere speculation. The futurologists generally know – or profess to know – a lot more than the rest of us about all the new tricks the latest technology will soon be able to do. What they almost always underestimate is the human factor: whether we'll want it to do those tricks. If the futurologists had been right, by now most of us would be working from home. We aren't – because it suits neither bosses nor workers. It's tempting to predict the digital revolution will eliminate many jobs in the services sector, leading to mass unemployment. Trouble is, employers have been installing labour-saving equipment since the start of the Industrial Revolution, and so far the unemployment rate is hardly up to double figures. That's because improving the productivity of a nation's labour increases its real income. When that income is spent, jobs are created somewhere in the economy. Technological advance doesn't destroy jobs, it "displaces" them from one part of the economy to another. It's possible the digital revolution is so different to all previous technological revolutions that what's been true for 200 years is no longer true. Possible, not probable. Those predicting our kids will be tossed out of their jobs many times in their working lives forget that market forces involve the interaction of supply and demand. Their prediction of almost universal job insecurity in the gig economy assumes this will happen because it's what the demanders of labour – employers – want. This is naive. It assumes all labour is unskilled – so employers don't care who does it and never have trouble recruiting and training a constantly changing workforce – and that there's no such thing as "firm-specific knowledge". No employer would treat skilled labour in such a cavalier fashion. Employers know the suppliers of labour – employees – wouldn't want to work for such an appalling outfit. And such an apocalyptic prediction fails to allow for what economists call the "policy reaction function" – if things get too bad for too many workers, governments will step in and legally require employers to treat their staff fairly – just as they already impose paid public holidays, annual leave, minimum wages, penalty payments and much else on unwilling employers. Why do they do it? Because, in a democracy, workers have far more votes than bosses. The nation's budget problem still won't be solved when, one day in the distant future, we get the federal budget back into surplus. Only a change in strategy is likely to produce a sustained solution. As successive intergenerational reports demonstrate, on present policies government spending will just grow and grow, requiring ever-higher taxes. If we don't like that idea – or politicians regard it as an impossible sell – we need to think a lot harder about what we're spending on, why it's growing so fast, what things we should stop spending on, and how we can make our spending more effective, in the process slowing the rate at which it's growing. The five biggest areas of spending include welfare benefits, health, education and infrastructure. Infrastructure's too important to share a column, so we'll return to it. But it, plus health and education, are even bigger when you remember how they dominate the states' budgets – a reminder that federal and state budgets need to be considered together, and that cutting federal grants to the states, and cost-shifting by the states back to the feds, aren't genuine solutions. Of three categories – welfare benefits, health and education – the intergenerational reports make it clear health will be by far the fastest growing. That's not so much because of ageing as because advances in medical technology are hugely expensive, and it's quite unrealistic to imagine that Australian voters will settle for anything less than gaining subsidised access to the latest and best technology ASAP. Since this is the political reality, the problem (and much of the pressure on budgets) is easily solved. Our politicians simply need to be brave and tell voters the truth: if they want ever more and better healthcare then, as with everything else, they'll have to pay more for it – in the form of, say, regular increases in the Medicare levy. That's the fundamental solution, but we could also do more to slow the rate of growth in healthcare spending by removing at least some of the waste and inefficiency that everyone in the system tells us exists. Much could be done to make education spending more effective. Instead, however, since the national knockback of the 2014 federal budget, the government's done little but crack down on the previous year's crackdown on the welfare cheats the Liberal hard right has convinced itself are ripping off billions every year. Sorry, not nearly good enough. Nor is preaching the evils of tax increases while you wait for bracket creep to claw back the eight successive tax cuts we were awarded when Peter Costello thought the resources boom would run forever. The trouble with many professed supporters of Smaller Government is that they want to have their cake and eat it. They want to reduce government spending so they can pay less tax, but they don't want to give up the middle-class welfare they enjoy – much of it awarded to them by the great man who didn't believe in smaller government, John Howard. Much of Howard's handouts to the comfortable came in the fifth big spending area, tax expenditures – which have the same cost to the budget as ordinary expenditures, but are hidden away on the tax side where they aren't noticed. These include various new benefits for supposedly self-funded retirees, the private health insurance tax rebate, big increases in grants to non-government schools and Costello's unsustainably generous increase in superannuation tax concessions for high income earners. To be fair, Malcolm Turnbull has made a good start to cutting back the super concessions – over the vociferous opposition of his hard right backbench. More must be done to cut back rapidly growing tax expenditures. But if we're genuine about achieving fiscal sustainability while restraining the rise in tax rates, we need to embrace a new principle to sit beside our heavily means-tested welfare system (which is the main reason Australia's overall level of taxation is so much lower than almost every other developed economy). The companion principle should be: we're no longer prepared to subsidise positional goods in the name of encouraging "choice". We'll put all our effort into providing a good public health system and a good public education system, and that's it. Of course, it's a free country and if you think you can do better than the public system by making private arrangements, feel free. But don't expect other taxpayers to subsidise your efforts to get better than they're getting. In any case, the easier you make it for punters to enjoy positional goods, the less positional you make them, cheating the better-off of their feeling of superiority. There's no clearer sign that the Turnbull government is in deep political trouble than the never-ending saga of the Centrelink robo-debt stuff-up. A well-functioning government would have closed down the controversy more than a month ago. If the relevant senior or junior minister hadn't had the wit to do it himself, the Prime Minister would have told him to. Instead, the controversy's been allowed to roll on, while the junior minister, Alan Tudge, and more particularly the man allowing himself to be described as general manager of Centrelink, Hank Jongen, have repeatedly denied that there's any problem with the automated debt recovery system that's been making life miserable for many Centrelink "customers", including many who, in truth, owe the government nothing. To broaden the focus, this is the story of how a highly class-conscious government – which sides with the well-off "lifters" against the less fortunate "leaners" – has come adrift from political reality and is using and abusing its public servants to prosecute its war on those unfortunate enough to need to deal with Centrelink. Its lifters-class sympathies have included the public service among the leaners-class, meaning it's been at war with its public servants, while using them to harass presumed welfare cheats. Its class consciousness has blinded it to such simple truths as that, while you can always bully the top public servants into covering for you, when you mistreat the servants they stop warning you about the hazards you face and, ultimately, indulge in schadenfreude when you fall over the cliff. As a class, public servants are not held in high esteem by the public. That's why the government has thought it safe to mistreat them, while also allowing the quality of service provided to the public to decline and using public servants to get tough with the many thousands of leaners imagined by the lifters to be ripping off the system. Trouble is, when you oblige the public servants to deliver bad service to the public – phones that go unanswered, long waiting times, websites and phones that keep dropping out (not you, Tax Office) – or treat the public unreasonably, the punters blame the government. As they should. Centrelink and Tax Office "customers" have votes, and their family and friends have votes, too. That counts treble when the "customers" are on the age pension. First proof the government's at war with its public servants is that its determination to limit public service wages means it's failed to reach enterprise bargains with up to three-quarters of its staff. One of the first acts of the Abbott government, like the Howard government before it, was to sack a bunch of department heads. Nothing could be better calculated to make the remaining department heads fear for their jobs should they do anything to annoy the government. Is it any wonder that when the bureaucrat really responsible for Centrelink, Human Services Department secretary Kathryn Campbell, who'd been refusing to speak to the media for weeks, had no choice but to front a Senate committee, she was full of denials and obfuscation? No boss enjoys receiving frank and fearless advice, but only the dumb ones take steps to ensure they're surrounded by yes-persons. The other way ministers limit the ability of their departments to pass on unwelcome advice is to interpose a bunch of young punks and political wannabes between them and their senior bureaucrats. Successive governments' desire to avoid confronting unpleasant truths has prompted them to fill their departments with armies of public relations people – people who'd be of greater service to the public if they got behind a counter or answered a few phones. It turns out that Jongen, the man who's happy to leave the public with the impression he's the general manager of Centrelink, has no responsibility for running it. He's just the department's "official spokesman". He's the chief spin doctor – meaning when he knowingly misleads the public he can do so with a clear conscience. That's what he's paid to do. Apparently, the department has more than 30 people with "general manager" in their title. The government's contempt for its public servants is reflected in the repeated rounds of "efficiency dividends" it imposes on its agencies. These far exceed the improvements in labour productivity the private sector's able to achieve, and have become a euphemism for annual rounds of forced redundancies. The public service union's claim that the 5000 jobs lost do much to explain the poor quality of Centrelink's service, as well as the government's mindless rush to use robots instead of humans, isn't hard to believe. It has cost the budget a lot of money to make the prices of homes as hard to afford as they now are. If this shocks or puzzles you, it's intended to. It shows the economics of house prices is more complicated than most people realise. And than can be deduced from the things politicians on both sides say and do in the name of improving home affordability. The surprising truth is that most of the things pollies – state as well as federal – do in the name of making housing more affordable actually make it less affordable – as well as having a significant cost to their budgets. It's not surprising that most politicians, not being economists, don't know much about the economics of house prices. But the same can't be said of their Treasury advisers. So we're left wondering whether our politicians pursue their counterproductive solutions in ignorance of their econocrats' knowledge, or whether the pollies fully understand they're making things worse for first home buyers, but don't care because they also know the punters won't realise they've been conned. Why do such a thing? Because the pollies know – thanks to their econocrats' advice – that the actual beneficiaries of the things they do in the name of improving affordability are people who already own a home. And that's a much larger group of voters than the group of would-be home owners. Scott Morrison advises that the budget in May will have a "housing affordability package" at its centre. Fine. We'll see then how much it does to help or hinder first home buyers. This is a tacit admission that home affordability has become too hot politically for the government to get away with merely repeating that the obvious solution is to increase the supply of new homes – which just happens to be the primary responsibility of the states, not the feds. It's true that house prices rise when the demand for them grows faster than their supply is growing. But to imply that the problem can be solved simply by building more homes is to reveal your ignorance of how the housing market works. Homes aren't a simple consumer good to be bought and soon used up. They're a long-lived asset, one that delivers a flow of service over many years – shelter – while retaining – and, everyone hopes, increasing – their resale value. This means there's a huge stock of existing homes, the number of which is increased only a per cent or two by each year's building of new homes. It means, too, that the demand for home ownership is driven not just by people's desire to own the home they live in, but also by their desire to invest in an asset whose value is expected to appreciate. But if you already own a home, why stop at one? Why not invest in a few of them – especially if such investments are made more attractive by tax breaks such as negative gearing and the 50 per cent discount on the tax on capital gains? Homes – units as well as houses – come in all shapes and sizes. Not to mention widely differing locations. One thing this means is that merely building a lot more houses on the outskirts of the city will do little to satisfy the demand of people fighting over the limited supply of homes close to the centre of the city (where most of the good jobs are). Sensible thinking about housing affordability is plagued by the "fallacy of composition" – the misplaced assumption that what works for the individual must work for everyone. Take the Victorian government's decision to help first home buyers by reducing or removing the stamp duty they pay. The individual couple hears this and thinks this will make it easier to afford a first home. Sorry, it won't. Why not? Because all first home buyers will get the same help, thus robbing the individual of any advantage over the other people competing for the place they're after. All such attempts to make homes more affordable to first home buyers by supposedly lowering the cost of homes backfire. Because demand continues to exceed supply, what happens is that competing buyers use their tax concession to bid the price of first homes even higher. So the supposed benefit to first home buyers ends up in the hands of those existing home owners who sell them their home, then move on to another. But this doesn't diminish the concession's cost to the state's budget. When the Howard government introduced the 50 per cent discount on the tax on capital gains in 1999 and made it available to people with negatively geared property investments, it could argue that, by making property investment more attractive, it would increase the supply of homes. To the extent it induced investors to buy newly built homes, it probably did – a bit. But the main thing it did was to increase investor demand for existing homes, particularly the type of homes bought by first home buyers. This tax change prompted a massive increase in negatively geared property investment, at great benefit to the investors (almost all of whom would be existing home owners) and at huge annual cost to the federal budget. Fabulous news on the economy this week. The recession that never was, didn't happen. Phew. That's a relief. After going backwards by 0.5 per cent in the September quarter of last year, we learnt from the Bureau of Statistics' national accounts that the economy rebounded by 1.1 per cent in the December quarter - meaning, according to the overexcited children of economic reporting, that we've escaped "technical" recession. Actually, anyone with sense knew three months ago we would. The detail of the national accounts showed the contraction was no more than a pothole on the economic road, the product of an unusual accumulation of negative one-offs. But even if this week's figures had shown a second consecutive quarter of "negative growth", the recession the excitables would be shouting about would be technical rather than real. Why? Because you can't have a real recession without falling employment and rising unemployment, and we've had neither. Oh. No one told me. But back to reality. Just as the economy didn't really contract in the September quarter so, however, the economy didn't really take off like a rocket in the December quarter. There's a lot of largely inexplicable "noise" in the initial estimates of the quarter-to-quarter change in real gross domestic product. That's why adult economists never take the figures too literally. It's common for a literally unbelievably bad quarterly figure to be followed by an unbelievably good one. That's partly because of catch-up – work that couldn't be done in the first quarter because of, say, bad weather, is caught up with in the second. But also because of the laws of arithmetic. If we compare the December quarter with the weak September quarter, we get an increase of 1.1 per cent. But compare it with the quarter before that and the increase is only 0.6 per cent. The rate of real GDP growth over the year to December – 2.4 per cent – is closer to the rate at which we're likely to actually be travelling, but even that may be on the light side. One suspiciously strong aspect of the accounts in the December quarter was growth in consumer spending of 0.9 per cent. With the rise in wages so small, and only modest growth in employment, household disposable (that is, after-tax) income grew by only 0.2 per cent in nominal terms. So how could consumer spending have grown so strongly? Since, by definition, income equals consumption plus saving, the statisticians assume households must have reduced their rate of saving. The national accounts show the household saving ratio peaking at almost 10 per cent of household disposable income at the end of 2011, then falling almost continuously since then, taking a big drop in the December quarter to reach a little over 5 per cent. If that's really happened and isn't just the product of some misestimate of income or consumption (or both), it's probably explained by a "wealth effect" – people in Melbourne and Sydney, seeing the value of their homes shooting up, feel wealthier and so decide they don't need to save as much and can spend more. The next bit of apparent good news is that new business investment spending grew by almost 2 per cent. This, believe it or not, included an increase in mining investment, plus a stronger-than-usual increase in non-mining investment. The former is likely to be just a blip as mining investment continues to fall back to normal, post-boom levels; the latter is an encouraging sign that the rest of business is getting on with the rest of their lives. The last bit of good news in the accounts is that our terms of trade – the prices we receive for our exports compared with the prices we pay for our imports – improved by 9 per cent during the quarter, taking the improvement for the year to almost 16 per cent. This is mainly because, after falling sharply since their peak 2011, coal and iron ore prices rose over most of last year. This is important for several reasons. An improvement in our terms of trade increases our real income – since the same quantity of our exports now buys an increased quantity of imports. "Real net national disposable income per person" – a better measure of living standards than real GDP per person – increased 2.5 per cent in the quarter to be 5.3 per cent higher over the year. Many people noticed that company profits (the profits share of GDP) leapt by 16.5 per cent in nominal terms during the quarter, whereas the nation's wages bill (the wages share of GDP) fell by a nominal 0.5 per cent. Why the disparity? Mainly because of the huge boost to mining company profits from the jump in export prices. Not to worry. If the economy works the way the textbook says, this gain to miners should flow through the economy, causing higher wages and higher tax payments. This latter likelihood is shown in the fact that nominal (as opposed to real) GDP grew 3 per cent in the quarter to be 6.1 per cent higher through the year. This is great news for the Treasurer because we pay taxes (and everything else) in nominal dollars, not real dollars. Last word goes to Dr Shane Oliver, of AMP Capital, who says there are seven reasons to be upbeat about the outlook for the economy. "Thanks to a more flexible economy, Australia is on track to take out the Netherlands for the longest period without a recession. South-east Australia is continuing to perform well. "The great mining investment unwind is near the bottom. The surge in resource export volumes has more to go. "National income is rising again. Public investment is strong and there are signs of life in non-mining investment. Growth is on track to return to near 3 per cent this year," Oliver concludes. Have you noticed how our politicians, asked to explain or defend their policy on X will, within a sentence or two, switch to expounding on what's wrong with their opponents' supposed policy? The sad truth is they much prefer scoring cheap political points and blame-shifting to getting on with developing policies to deal with the various problems the nation faces. Coming up is policy on schools. We'll be hearing a lot on federal funding of schools in a few weeks when Education Minister Simon Birmingham debates the matter at a meeting with his state counterparts. I've been boning up on schools in preparation for delivering the Australian College of Educators' Jean Blackburn Oration in Melbourne last week. Here's a taste. The government keeps telling us the problem with schooling is that, for so many years, we spent more and more on school education and the results did not improve. In fact, they got worse. Well, the last bit's certainly right. As summarised by Trevor Cobbold, of Save Our Schools, a public schools lobby group, our results on the OECD's program for international student assessment, PISA, have fallen significantly over the past 15 years. We remain one of the high-performing countries in reading and science, but our maths results have slipped to about average. The results show continuing declines in the proportion of students at the most advanced levels and also significant increases in the proportion of students below the international standard. This includes high proportions of low socio-economic status, Indigenous, provincial and remote-area students. 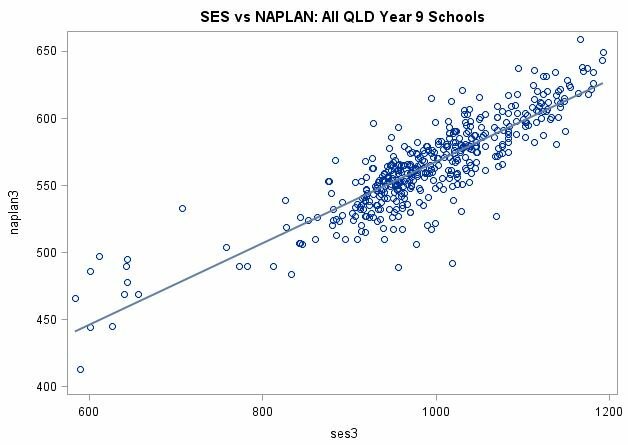 We get an even more worrying picture from the results of the national assessment program – literacy and numeracy, NAPLAN. Peter Goss and colleagues, of the Grattan Institute, have pioneered the technique of converting NAPLAN results into "years of progress", using the results of Victorian students. They note first that the NAPLAN “national minimum standards” are set very low. A year 9 student can meet this standard even if they are performing below the typical year 5 student – that is, four years behind their peers. They find that the spread of student achievement from highest to lowest more than doubles as students move through school. Low achieving students fall ever further back. They are two years and eight months behind in year 3, but three years and eight months behind by year 9. Students in disadvantaged schools make about two years less progress between year 3 and year 9 than similarly capable students in high-advantaged schools. And get this: bright students in disadvantaged schools show the biggest learning gap. High achievers in year 3 make about 2½ years less progress by year 9 than if they had attended a high-advantage school. Great. But what about the government's claim to have been spending more and more on schools? Birmingham keeps saying that federal funding has increased by 50 per cent since 2003. This is highly misleading, particularly since what matters is total school funding, coming from both federal and state governments. According to Cobbold's fact checking, the real increase in total government spending per student over the nine years to 2013-14 was just 4.5 per cent. There's more. Although the non-government sector enrols less than 20 per cent of all disadvantaged students, the nine-year increase for non-government schools was 9.8 per cent, whereas the increase for government schools was only 3.3 per cent. So, does spending more money buy better school performance? Not if you spend it on more of the wrong things. The truth is that we haven't been spending a lot more in recent times but, in any case, much of what we have been spending hasn't been spent effectively. Between the federal and state governments, we've given more to advantaged schools than don't need it, at the expense of disadvantaged schools that do need it. When you study the standardised test results, the answer to how the money could be spent more effectively – that is, in a way that increases the probability it will produce better school performance – leaps out at you: we need to spend more per student on disadvantaged schools and less per student on advantaged schools, where parents have demonstrated their willingness to supplement the school's finances by paying fees. In other words, the obvious way to make government spending on schools more cost-effective is to put it on a needs basis. We'll know soon enough whether Birmingham has made any progress on that, or has succumbed to pressure from non-government schools following that less-than Christ-like motto: "For unto every one that hath shall be given". But though it would help to direct more of the funding to schools with more of the disadvantaged students, we need to ensure schools spend whatever they get as effectively as possible. One new technique that research says would improve outcomes is "targeted teaching". 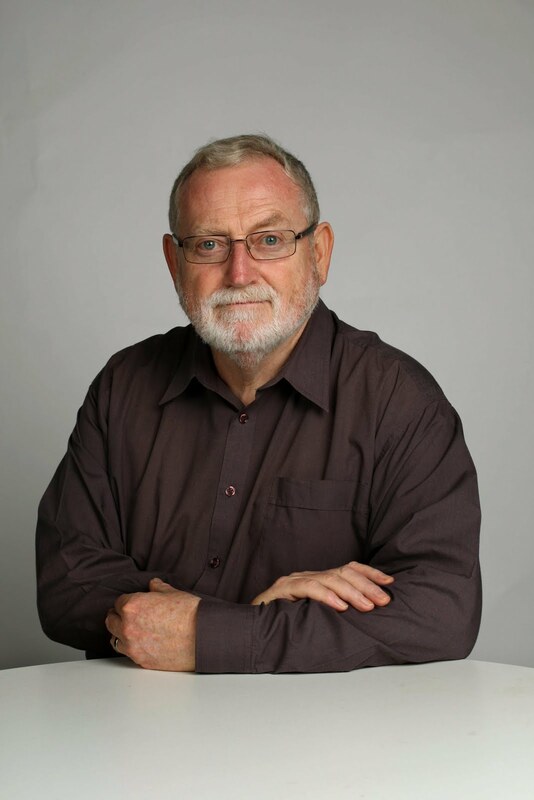 One of its advocates, Goss of the Grattan Institute, says teachers should be provided with the time, tools and training they need to collect robust evidence of student learning, discuss it with other teachers, and use it to target their teaching to the wide range of student learning needs in their classroom. Higher achieving students should be stretched, lower achieving students should be supported to catch up, and no student who stalls should go unnoticed, he says. The school fosters a culture of progress, in which teachers, students and parents see learning success as being about effort and improvement, not ability and attainment. And see assessment as a way to improve, not to expose student failures. The best schools in Australia are not necessarily those with the best ATAR or NAPLAN scores, but those that enable their students to make the greatest progress in learning. The goal is for each student to have made at least a year's worth of progress every year, Goss concludes.